What are tornadoes? Blizzards? Hurricanes? 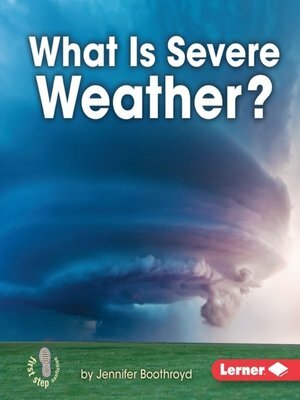 Readers will learn the ins and outs of severe weather in this book. Accessible text and appealing photos show severe weather conditions and encourage students to be weather aware and to take proper precautions in the event of severe weather.